Laundry can be, and usually is, a dirty word. It doesn’t have to be. 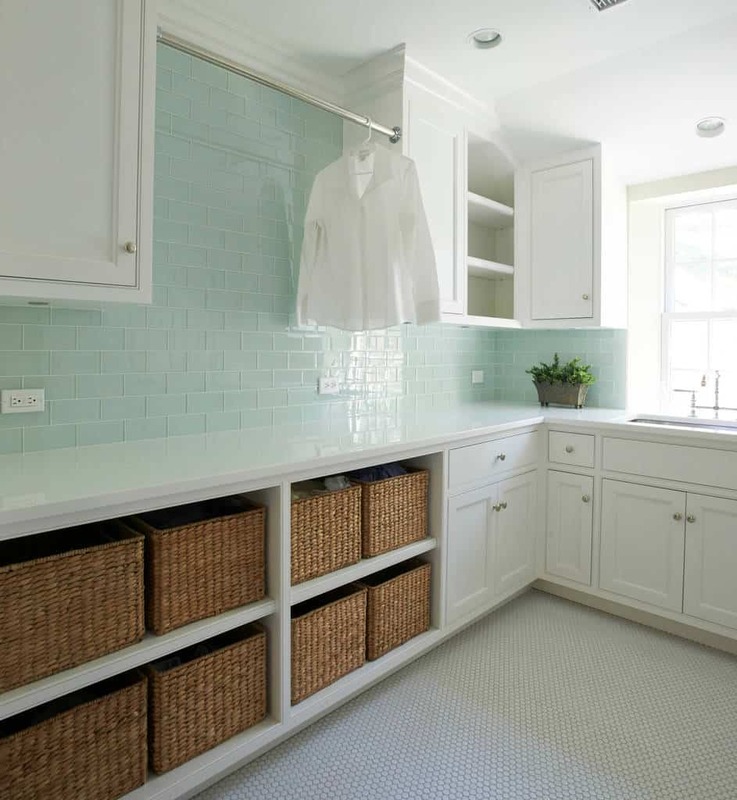 You can create a laundry room that is functional and that looks great. 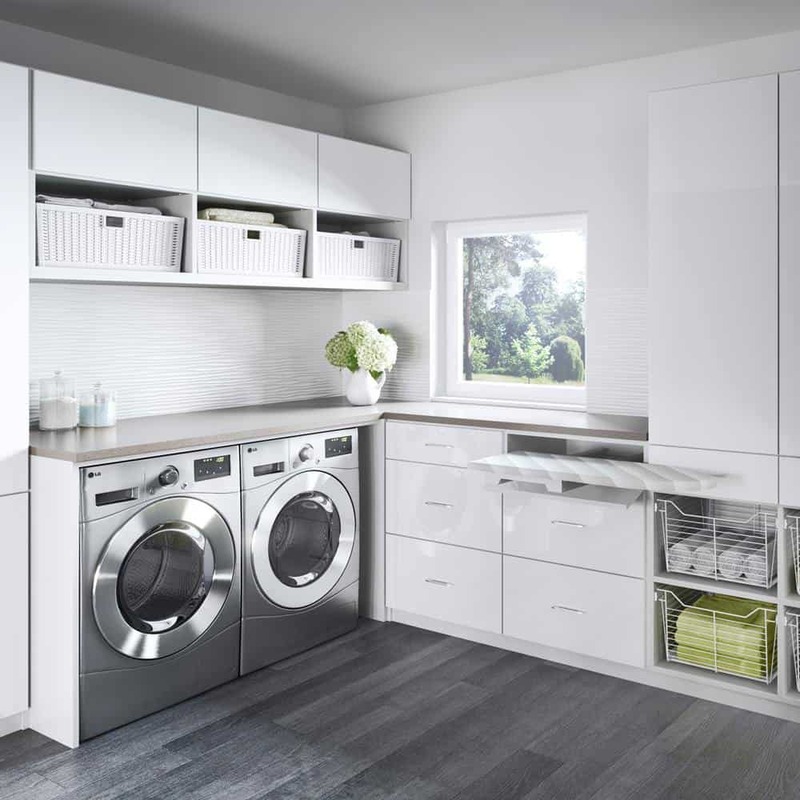 If you’ve ever looked at someone else’s laundry room and said to yourself, “This looks so much better than mine,” then it’s time to do something about it. You can treat it just like the rest of your house. Make it a space that matches your personality. It doesn’t matter if you are working with a larger space or a smaller area, you can create something good. 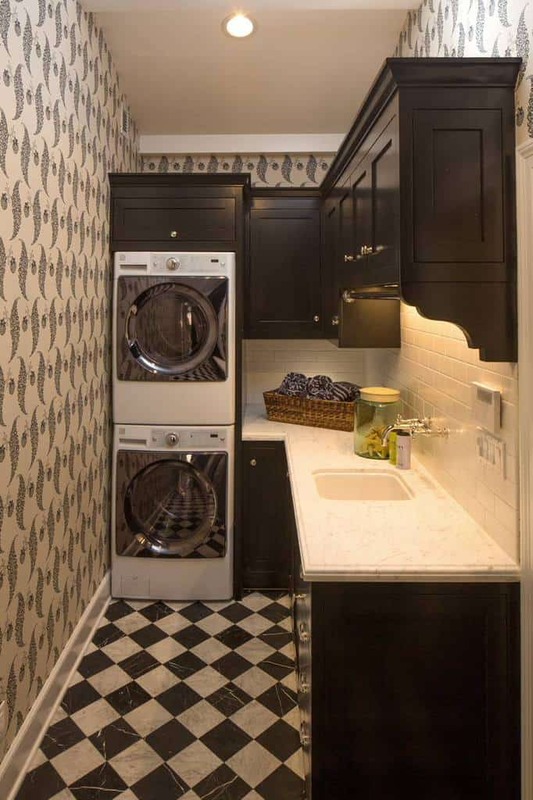 We’ve gathered together 16 laundry room design ideas for you to look through. They range in style and design and they give you some great starting points. Take a look and see if there are any that you like. Photo by S.J. Janis Company, Inc. 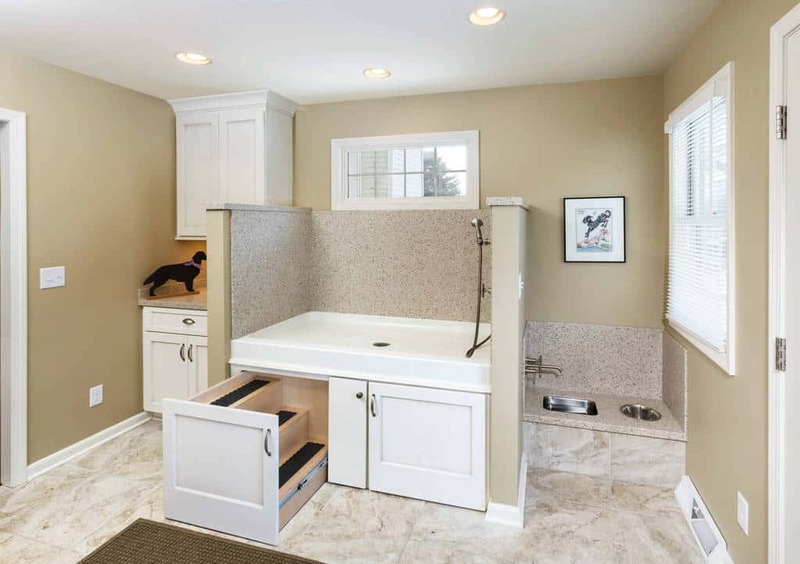 If you are a pet lover and take grooming seriously, you can have a setup like this. Take care of all your pet grooming needs here. Stop putting things behind the door and pretending that’s storage. Something this simple will make everything look much better. 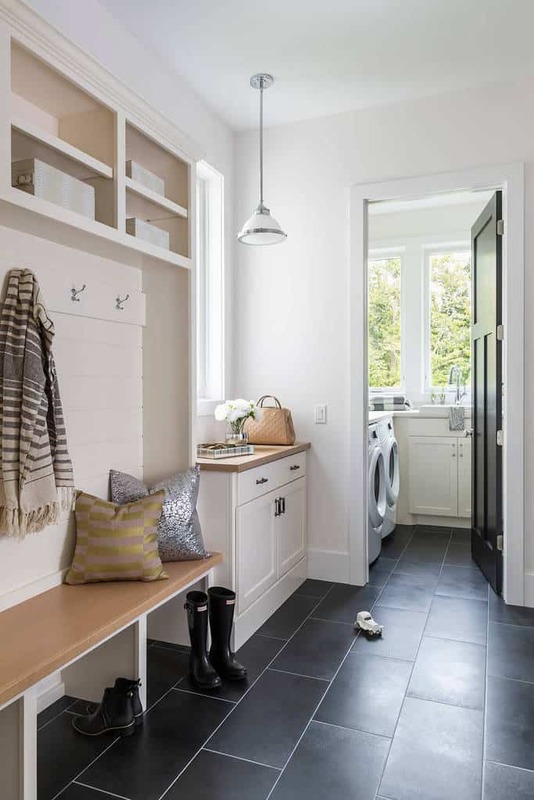 Even if you don’t have a huge amount of space, you can still have a laundry room. 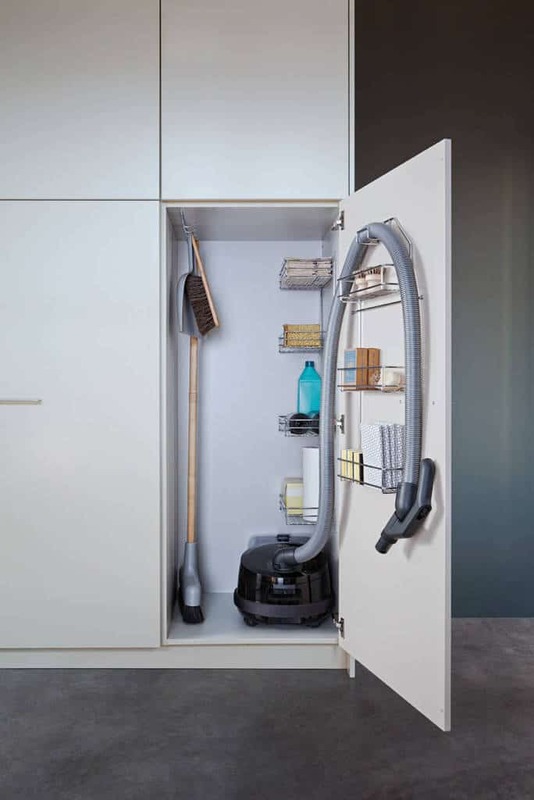 Stackable washer and dryer units really help. Besides the wonderful country decor used to make this room lively, you have these wonderful rolling hampers to help get the laundry finished. Don’t feel like you always have to have white appliances. These fit right in with the decor and style of this wonderful room. 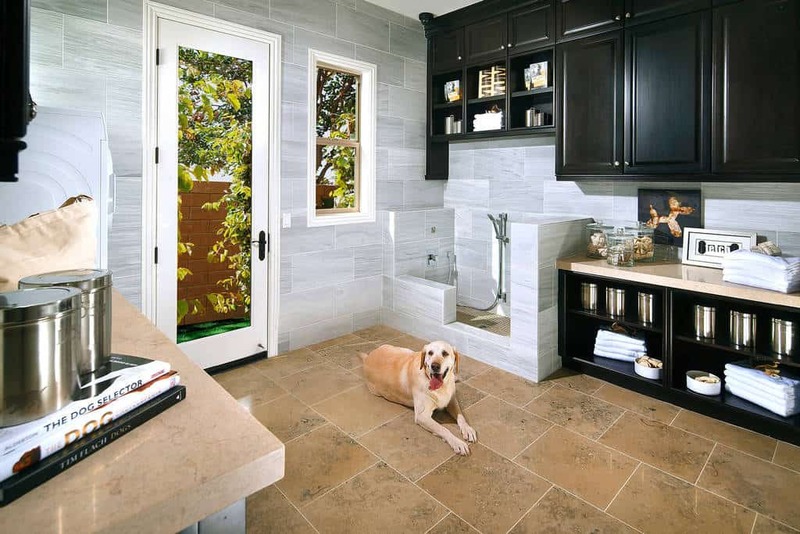 With great color contrasts at work here, you can enjoy this room as you work to get the pets cleaned and laundry done. Look at how well different color appliances work. 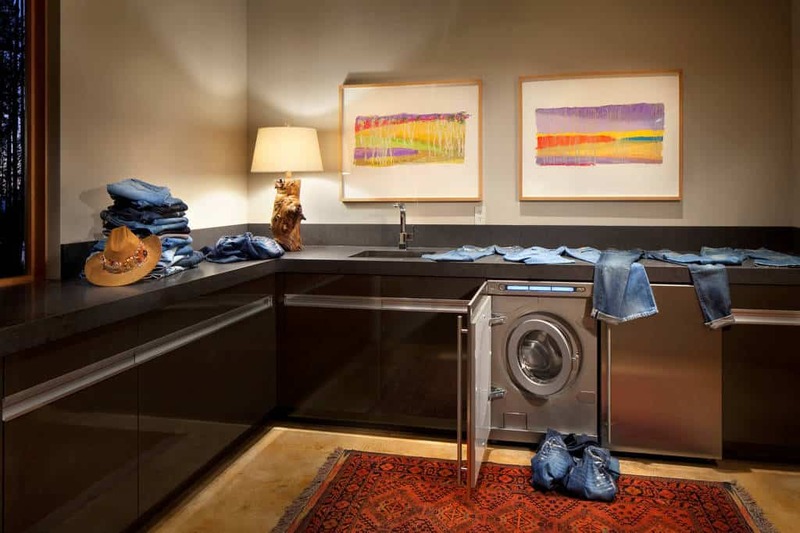 This washer and dryer give a great style to the room. With calm lighting to accent the wonderful artwork and sleek designing of the counter and cabinets, this space is contemporary and beautiful. 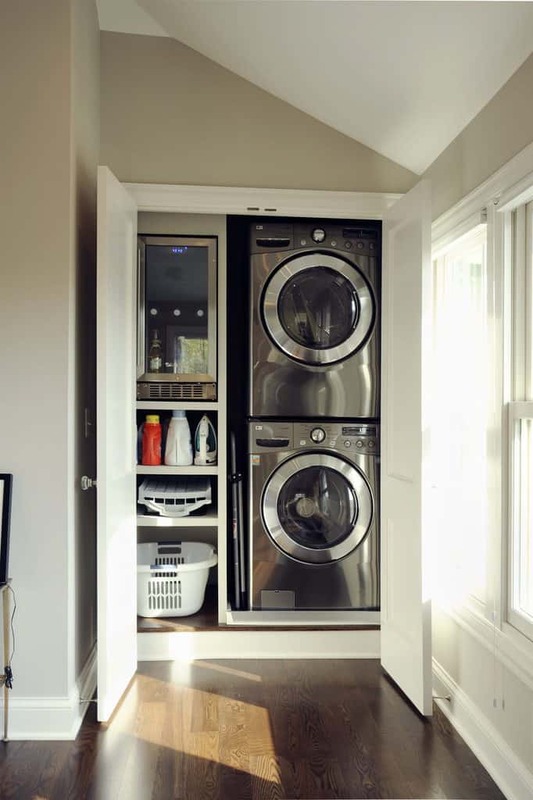 This stackable washer and dryer fit right behind these doors and still leave plenty of room for other storage. 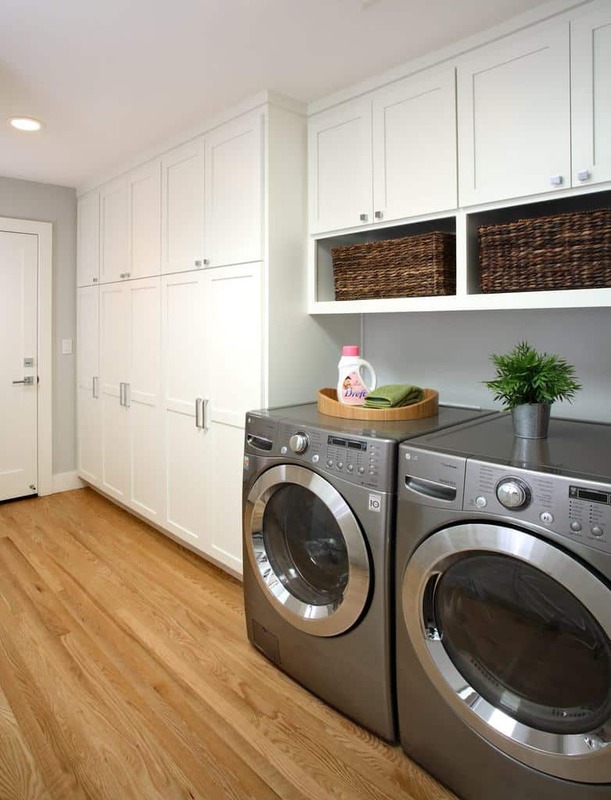 With great natural light spilling into this space, you can actually do your laundry in peace here. 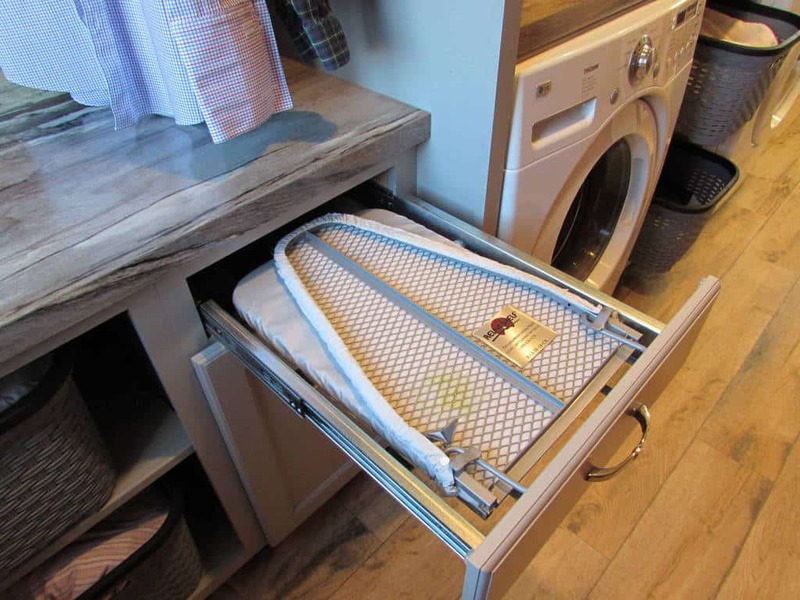 Instead of having to keep a bulky ironing board behind a door, you can have it fold out when you need it. What a great space that is easily accessible right behind these sliding doors. The laundry never seemed so easy. Show a great eye for colors by going for something out of the ordinary. 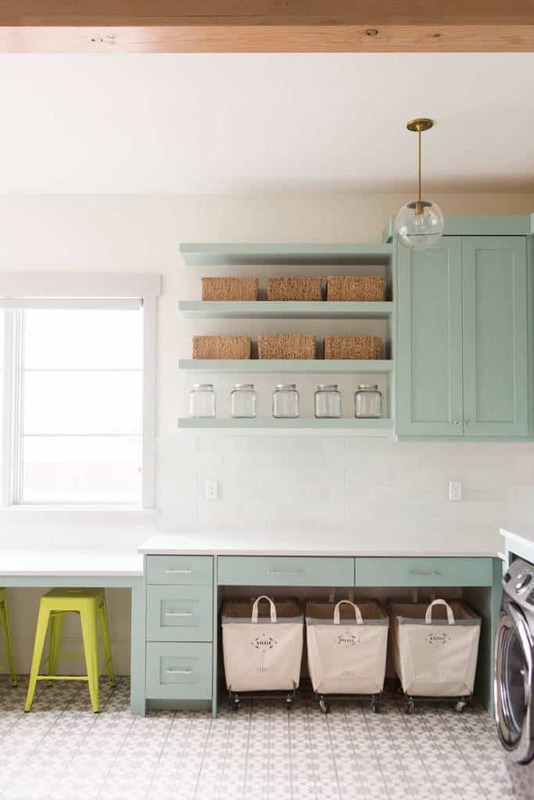 This seafoam green blends perfectly with the rest of the room. 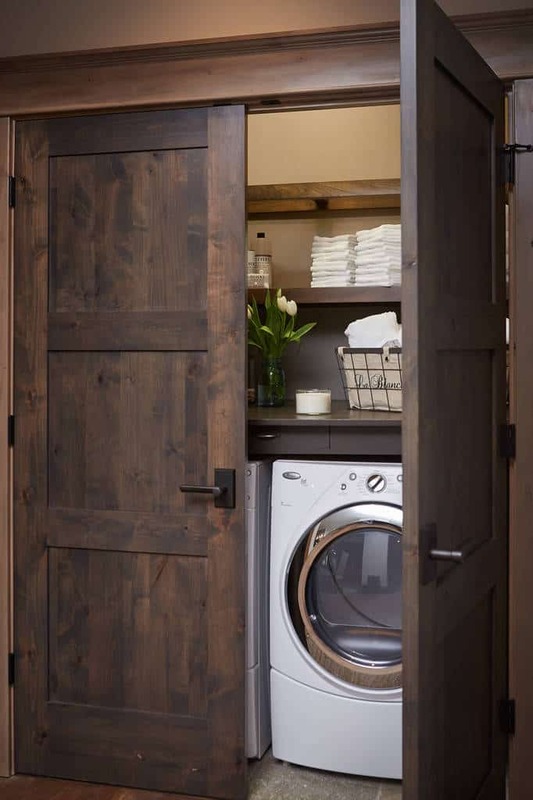 You can’t really beat having doors this great for your laundry area. How could you be mad about laundry after opening them? 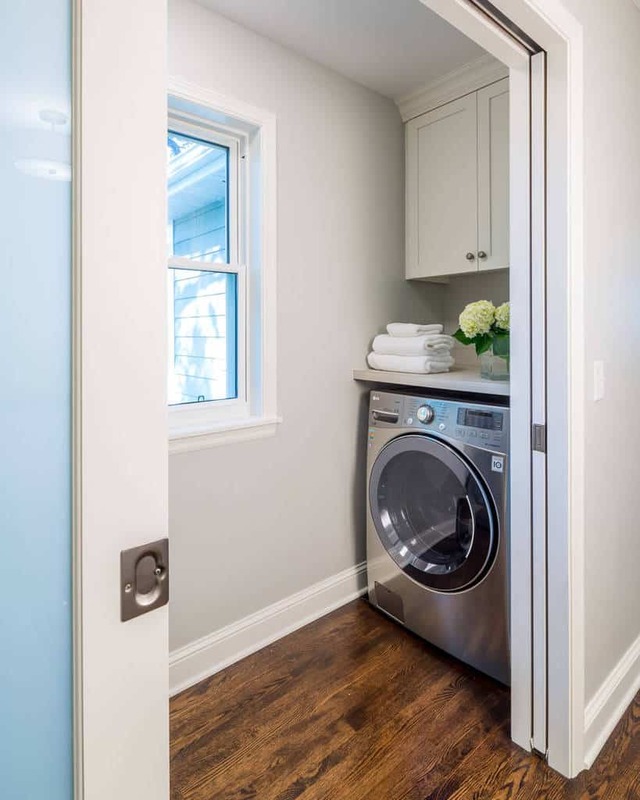 This laundry area is awash with natural light that will brighten up the fact that you actually have to do the laundry. The designs in this room are sleek and modern. 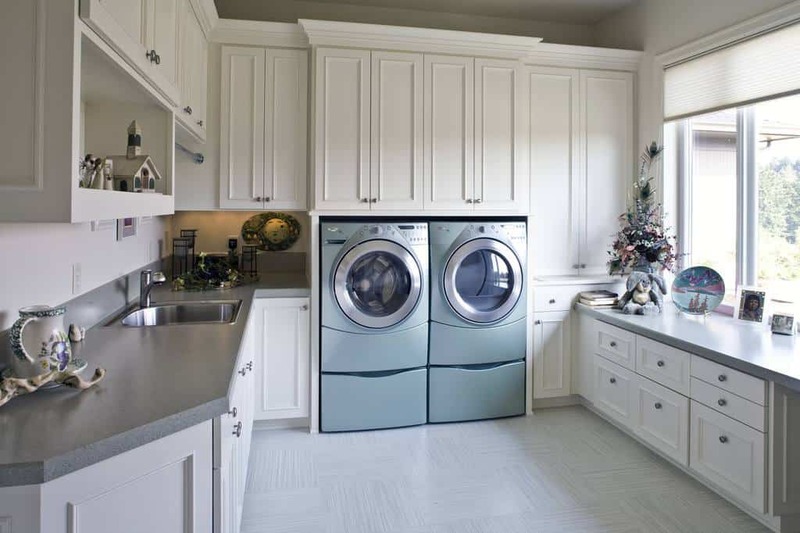 The appliances look great and fit the style of this lightly colored room.